When in Spain, be sure to seek out one of the country’s most famous delicacies: jamón ibérico de bellota, a seriously delicious acorn-fed, salt-cured ham. The taste is one of the most distinctive in the world — nutty, rich, slightly sweet and savory. Once you have had it, you will never forget the experience. Jamón (aka pernil and xamón). In Spain, jamón refers specifically to the hind leg of a cured ham (must be over 4.5 kg, but typically over 7 kg). It is fatty and offers creamy, nutty and round flavors. Without question, it is the premier ham available. Paleta (aka espatlla). The foreleg or shoulder of a cured ham (must be over 3.5 kg, but typically over 5 kg), paleta has less intramuscular fat infiltration, which affords it a less complex, meatier flavor profile; further, the texture is a bit tougher. To ensure consistency and make identification of quality grades easier for consumers, producers attach colored tags to the hams. They are invaluable in differentiating among the different grades of products. Black tag: 100% Ibérico de Bellota. Absolute highest grade. Assigned to jamón or paleta that is derived from free-range, 100% purebreed Iberian pigs that feed on acorns (and grass) during the montanera period (October-March) immediately before slaughter. The jamón version is typically sliced by hand in shops; paleta on a mechanized slicer. Red tag: Ibérico de Bellota. Assigned to jamón or paleta that is from free-range pigs that are not purebreed, but similarly feed on acorns (and grass) during the montanera. The percentage of Iberian stock must be at least 75% (the balance being Duroc breed). As with black-tag hams, the jamón version is typically sliced by hand in shops; paleta on a mechanized slicer. Green tag: Ibérico de Cebo de Campo. Assigned to jamón or paleta from pigs (of at least 50% Iberian stock; the balance being Duroc breed) that are free range and feed on a slightly lower-grade diet: primarily grass and cereals, with very little acorns, if any. Typically only cut on a mechanized slicer. White tag: Ibérico de Cebo or Jamón Ibérico. The lowest grade. This ham is from pigs (of at least 50% Iberian stock; the balance being Duroc breed) that are not free range, but rather kept enclosed in a pen, and fed only grain. Typically only cut on a mechanized slicer. See our Google map of Spain’s Iberian ham-producing denominations. Dehesa de Extremadura. Produced in the Badajoz and Cáceres provinces in the Extremadura region of Spain, on the border with Portugal. 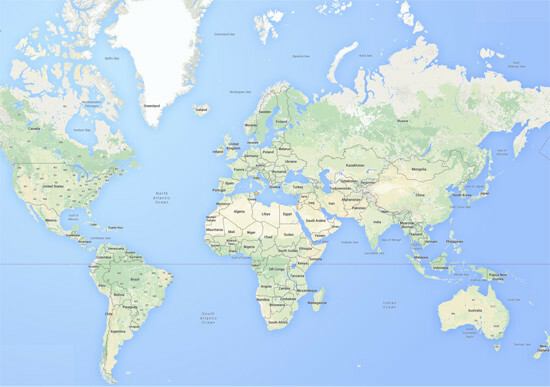 The entire process — pig rearing, montanera and ham production — occurs exclusively in this zone. Jamón de Guijuelo. Produced in the southeast province of Salamanca in the region of Castilla y León, just north of Extremadura on the border with Portugal. Although some of the Iberian pigs are raised outside of this zone, the hams are cured and aged in the Guijuelo area. Of the four denominations, Jamón de Guijuelo is known for producing the most delicate, reserved and nuanced hams. Jamón de Huelva aka Jabugo. Produced in the mountainous Sierra de Huelva in the western portion of Andalucia, just south of Extremadura, also along the border with Portugal. Just as with Jamón de Guijuelo, although some of the Iberian pigs are raised outside of this zone, the hams are cured and aged in the Huelva area. Jamón de los Pedroches. Also produced in Andalucia, only more inland, just north of the city of Cordoba. As with Dehesa de Extremadura, the entire process — pig rearing, montanera and ham production — occurs exclusively in this zone. In Spain, butchers do offer the whole jamón or paleta for sale, but you are likely just looking for a taste. In that case, order in increments of 100 grams (slightly less than 1/4 pound), each of which yields around 20 slices. For conversion purposes, 1000 grams (1 kilogram) is equal to 2.2 pounds. While this is certainly enough to get you started, there is a lot more to know about Iberian ham. 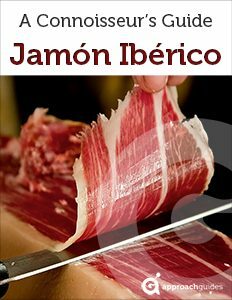 Get our connoisseur’s guide to jamón ibérico. Get the guide for Kindle or on iTunes.